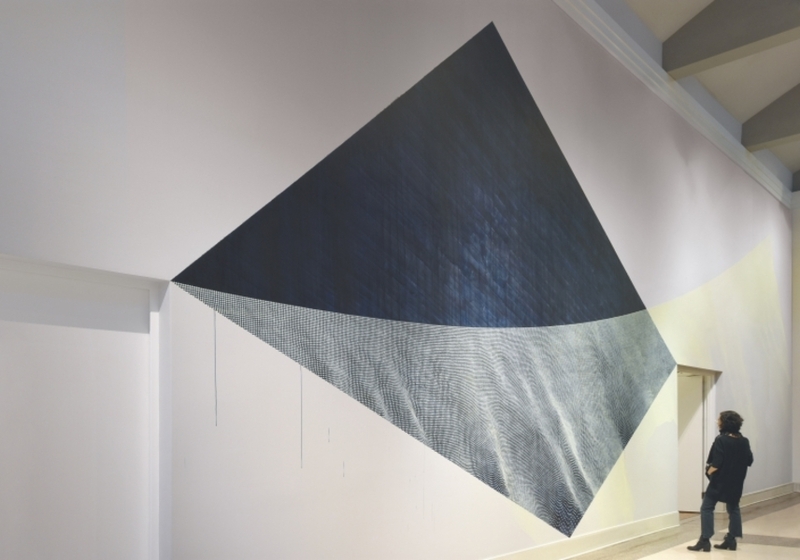 Following her works at the Hammer Museum, The Philips Collection, and the Hirshhorn Museum & Sculpture Garden, Linn Meyers creates a site-specific wall drawing at The Columbus Museum, Columbus, GA. Visitors may view Meyers at work on the north Galleria wall from January 4th to 13th, 2018. Meyers will also be participating in a round-table discussion on Thursday 6pm, January 11th with Jonathan Frederick Walz, Director of Curatorial Affairs and Curator of American Art at The Columbus Museum and artist Jonathan VanDyke . For more information, please visit http://www.columbusmuseum.com/exhibition/linn-meyers-wall-drawing/.